Serving Ellis County & Surrounding Areas! When you’re interested in having a driveway gate installed in front of your home to add some extra security, you need to also take care to ensure that your home will still be easy to pull up to. 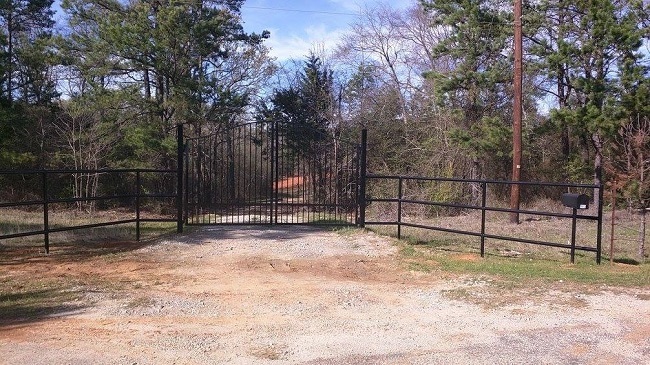 Instead of struggling with the gate every time that you return home, it’s important for you to take care to look into getting a driveway gate installed with the following tips in mind so that accessibility will be easy. As you begin checking out your options for driveway gates, you’ll see how access to your home will differ based on the gate you choose. The access for the gate can be as simple as a button you can press from inside of your car to a key code entry you’ll need to use when you pull up to the gate. Whatever option you decide on, it’s important that it’s easy to use so that opening the gate won’t be too time-consuming or difficult for you. Another way to add security to your home is to have a camera installed that points towards your driveway gate. Since you may be concerned with people trying to access your home, it can be convenient to have a camera installed so that you can check in on who is at the door before it opens. When you expect to have guests visit your home frequently, it’s a good idea to have remote access up from inside of your home. This way, you’ll be able to open the gate without any problem when you’re expecting guests. As you begin looking into having a driveway gate installed at home, you’ll need to look into exactly how accessible it will be. Contact us if you have any questions about the gates we have available. Your deck doesn’t have to stay in various tones of brown and gray. If you want to add a bit of color to your backyard, a great tactic is to stain your patio deck a jewel tone or neutral but less typical shade. Green is popular if your backyard is mostly concrete so you can fit in those natural shades. Blue can add contrast and tie your new backyard feature into the color palette of your home’s exterior. Black is a dramatic color, and it’s usually saved for small accents and edges. But black patio decks and fences are a dramatic choice that can look great if it’s planned well. Not only does it hide stains and scratches, it stops colorful furniture and accessories from looking busy. Avoid this color if you have a small or shadowed backyard, but definitely grab stain swatches if you have a large deck and a sunny yard. No matter what stain color you like the best, it doesn’t have to be the only color you use. Use a contrasting color for steps, edges, and central panels. Pick one color for all of your planks, but pattern the patio deck with lighter and darker shades on different boards. This is also a great strategy if your deck is a mix of planks that have different lengths, widths, and wood material. Multi-toned decks also mean you can add on without losing the flow of your constructions. Don’t let the traditional browns and grays restrict your color choices. If you’re restaining your patio deck or your fence, pick the color you like best. Go to Philip’s Fences to get started. 1. Composite planks instead of wood. Just like inside contemporary houses, the look of hardwood flooring is in demand but actual wood isn’t as popular. Real wood is a maintenance headache and needs a lot of care to stand up against moisture. So look for composite material instead. You can get the look, feel, and detailed grain of stained wood. But it stays durable and easy to look for years. 2. Accent edges and colors. Don’t just use one color of composite wood-look material. Instead, border your deck with lighter or darker boards. This defines the space and lets you incorporate the deck into your home’s exterior color scheme. 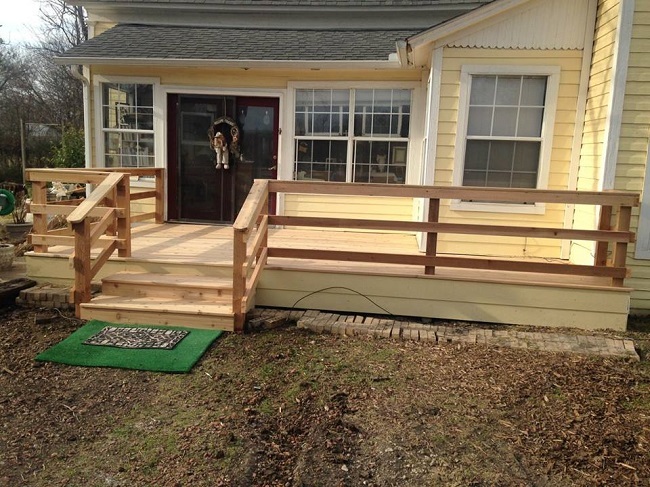 If your deck has steps, it also makes it a bit safer to walk on without horizontal rails. But two-tone decks aren’t just a great safety design. You can also use different shades on different levels or segment the space with color blocks to make the deck more functional without losing space. 3. A pergola on the deck. Build a free-standing pergola on your two-tone composite deck. A pergola helps define the space without blocking the view. It can also give you shade where you need it most: the edge of your deck furthest from the house. These three patio deck trends are here to stay throughout 2019. Combining these features makes you deck even stronger, both as a beautiful outdoor living space and as a long-term structure. Go to Philip’s Fences here to get started. 1. Choose good hardware at the start. 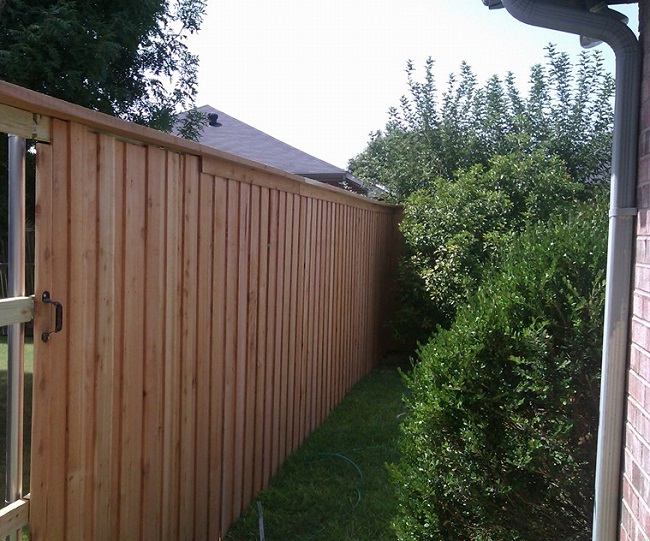 When you’re contracting for a new fence, the main focus is on the dimensions, the color, and the type of wood. But the hardware needs to be on your list, too. Thin, poorly finished locks and hinges will age quickly, and that can damage your fence. So look for galvanized and stainless steel hardware options. If the hardware is powder coated to keep out moisture and mitigate scratches, that’s even better. 2. Don’t leave your gate ajar. Even the strongest metal has a shelf life. If you leave your gate open for months at a time, then the hinges have to support all of that weight and movement. Even a gate that’s slightly ajar will start to tilt and the hinge stretches are starts to shift through the wood. So keep it shut and well-supported. 3. Check for corrosion, especially as you’re restaining your fence. High-quality fence hardware is built to protect itself against rust. But chips and abrasions can eventually get through even the best anti-corrosion finish. Keep an eye on problem spots like the gate latch or any hardware by the edge of your roof. And when it’s time to get your fence restained every handful of years, reapply a protective finish on the metal. Not only will your whole fence look like new, it will be protected like it’s new, too. Go to Philip’s Fences for more tips or to get a high-quality fence. A fence comes up against very few forces that cause it harm. Usually just the rare vehicle “contact”, and the non-stop onslaught of the weather. To withstand the effects of those two things, and other problems, only high quality fence supplies should be used. Calculating the type and amount of fence supplies may not be brain surgery, but miscalculation could be very costly. Or it may require a return trip to the construction supply company. So even before any building occurs, experienced oversight would be invaluable to a homeowner. Even superior products require the expert hands of skilled installers. There are numerous factors to consider when installing a fence. Any legal restrictions, securing the fence to the ground, the proper type and amount of fasteners to actually build the fence, a safe injury-free project: these are all crucial elements of great fence installation. When the daunting task of purchasing the correct fence supplies is followed by a fantastic installation, that’s two out of three parts of a perfect story. The missing link would be a warranty. And not just a warranty of a few years. But a warranty of, say, ten years. A warranty on materials and labor. 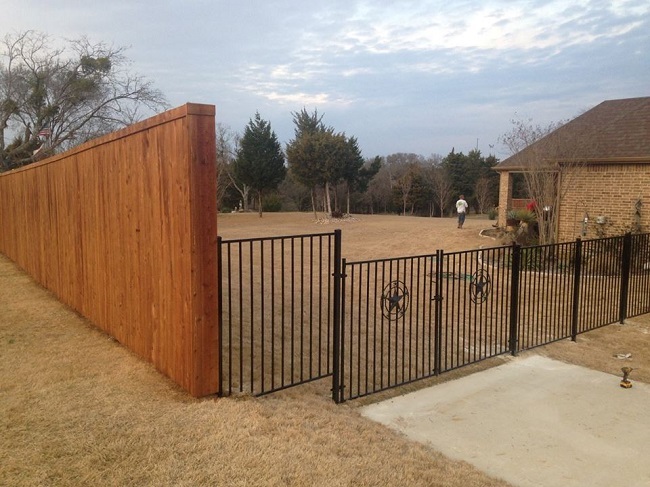 Now that’s a perfect fence installation. You want a fence installed by a local family owned business that provides the quality described above, and more. A business with over 25 years of experience in wood and metal fence construction. That means you’ll want to contact us the minute you’re ready for a quality fence! Your deck provides your family with limitless opportunities for relaxation and entertainment. Unfortunately, over time, the vibrant appearance of your wood deck can dull due to foot traffic and the beating it takes from mother nature. However, a consistent maintenance routine can protect your deck’s appearance and save it from expensive repairs. Below, we’ve provided 3 maintenance tips that will help guard your deck against the abuse it faces from heavy foot traffic and intense weather conditions. Start your inspection by removing chairs, tables, and planters from your deck. Once the area is completely clear, slowly walk around looking for any split, warped or rotting boards. You should also keep an eye out for loose nails and unsecured railings. If you do discover damaged wood, calling a professional to replace the impaired boards is key to keeping your deck in excellent condition. A thorough inspection at least once a year will alert you to any issues before they escalate and cause your repair bill to skyrocket. While sweeping your deck to remove loose dirt and standing water is always a smart maintenance move, a deep cleaning once a year is also needed. On a pleasant and fairly dry day use a commercial deck cleaner to adequately rid your deck of mold and bacteria. For the best results, be sure to follow the directions that accompany the cleaner. Areas covered in stubborn dirt stains will need to be scrubbed with a brush and little extra elbow-grease. While rinsing your deck with a power washer is the fastest way to get rid of residue, the forceful stream can end-up damaging your deck if you are not careful. Using a garden hose and a nozzle attachment instead will ensure you don’t accidentally harm the wood. 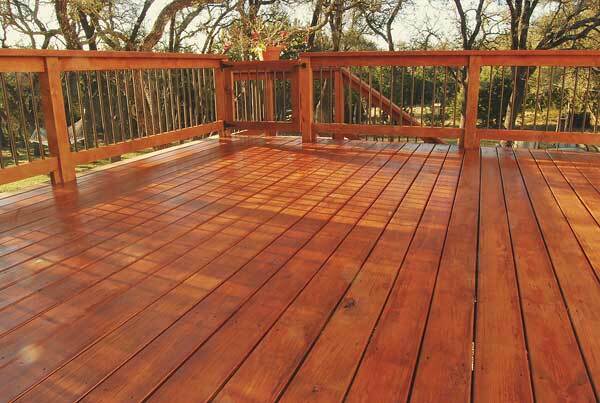 How Often Should You Stain Your Deck? There are several factors that determine how often your deck requires staining. For one, the type of stain you choose makes a huge difference. A transparent stain provides less protection, meaning you will need to stain your deck every year. If you are looking for a stronger barrier, you can select a semi-transparent stain. This type of stain gives your deck color and guards it from harsh weather while still allowing some of the wood’s natural grain to show through. A semi-transparent stain needs reapplying every 2 to 3 years. A solid stain will provide your deck with the greatest protection, however, it does take away from the wood’s natural appearance. A deck using solid stain needs reapplying on average every five years. Weather and the amount of foot traffic your deck sees can also impact how often you need to reapply stain. Constant exposure to the sun and extreme humidity can cause your deck’s stain to deteriorate at a faster rate. Heavy foot traffic is another factor you need to take into consideration. The more use your deck gets the quicker the stain wears down. When the fencing in your yard isn’t in the best condition any longer, you may be concerned about what you can do to make it feel modern again. Instead of tearing down the fence and getting new fencing installed, it’s best to look into what you can do through staining the fence. 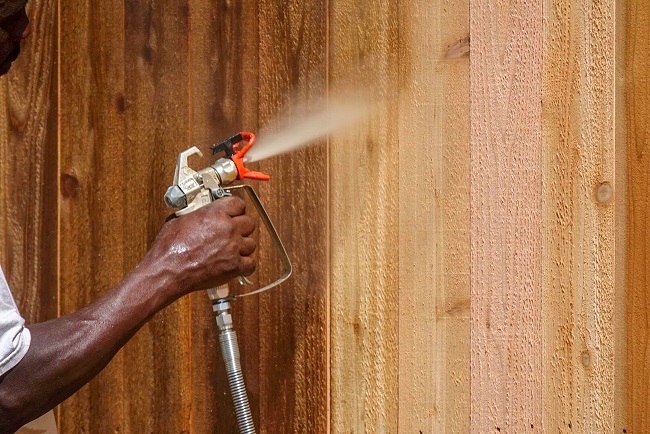 If you’ve never had staining done to your fence, consider some of the following tips for improving the way that your fence looks with new staining applied. Discoloration can happen with a lot of older fences, resulting in some parts of the fence feeling discolored compared to other parts. 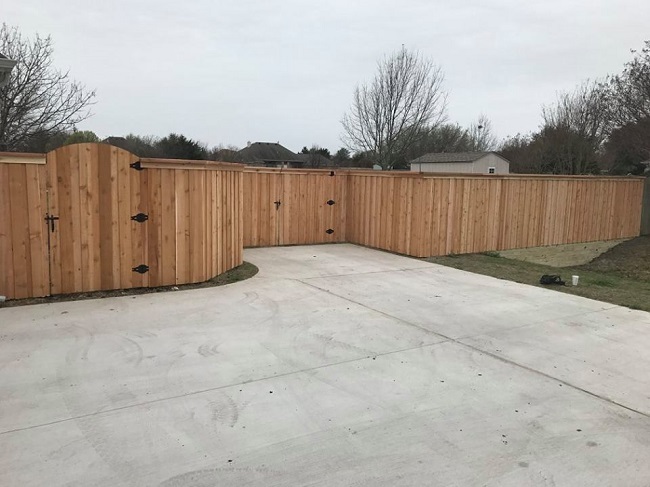 This can make the fencing appear patchy and result in you being unhappy with the way that the fence looks compared to other more updated parts of your yard. Staining can correct any discoloration so that the fencing looks even and updated for your landscaping. In some cases, the fence may no longer match the rest of your yard due to changes in your design preferences. When you have a patio, pergola, or other landscaping features that clash with the color of the fencing, applying a new stain can give you the opportunity to keep everything more in line with one another. With a discolored fence, you may feel pressured to replace the fencing altogether due to how much it can damage the curb appeal of your home. Having new staining done can ensure that your fence looks brand new again and help you feel good about keeping the fence the way it is for a long time. As you look into the benefits of staining the fence, you can feel more comfortable with the costs. Contact us if you any questions about having staining done to your fence so that it matches with your yard without a problem. Swimming pools are a staple in many Texas neighborhoods. The summer heat doesn’t just stick to the summer season, and having a pool in the background is one of the best ways to counteract the temperature once it reaches triple digits. But swimming pools aren’t always safe to leave unprotected in your backyard. If you have young children in your home or an easily accessible backyard, you need a separate swimming pool fence to keep people out when you’re not there to supervise a swim. Why is a wrought iron fence the best protection for your pool? If you’re going to construct a protective fence around an in-ground pool, you don’t want a flimsy one. All that does is create the illusion of safety. A wrought iron fence will be firmly installed into the ground, and each vertical bar will stay strong for years. Look for iron fences that are finished with a powder coating instead of paint. Powder provides a better water-resistant seal that keeps moisture and rust at bay, even near chlorinated water. Fences are necessary to keep young would-be swimmers safe, but that doesn’t mean you have to compromise your backyard’s style. Wrought iron fencing is a popular choice for all sorts of residential fencing, including driveway gates, front fencing, and fences around the general backyard. Whether you want ornate detail or minimalist detail, iron fencing will never be an eyesore. Just like a wrought iron is beautiful itself, it lets you see your pool and the rest of your landscaping behind it. It also means you can glance at your backyard to make sure no one’s trying to swim unsupervised. If you have family or guests over, a wrought iron fence also lets you keep an eye on swimmers from your deck so everyone’s safe and comfortable. If you want the added reassurance of a strong fence around your swimming pool, browse our gallery here to get started. Build a dedicated vegetable garden with protective fencing. Even a small garden can make the backyard more fun. Whether you want to try your hand at growing lots of vegetables or you want an herb garden to make all of your recipes fresher, growing your own food is a rewarding experience. Construct a small fenced-in area to grow your plants. You can protect your plants from neighborhood critters and have a relaxing, dedicated space to focus on gardening and relax in. Accent your hedges and flowering garden beds. Lining your home with hedges helps keep the soil in place and protects your home’s foundation. It’s also a beautiful way to frame your house and add color to the backyard. But if you have a family pet, it might want to dig through the soil and mulch. This is an even bigger problem in the summer if you have a dog who’s trying to get cool. Tiny, decorative garden fences can keep them away. It also adds another decorative pop of color, just like a brick or stone border. Maintain your backyard’s fence to finish off the look. If you already have a wooden fence you like, it can be easy to forget about it. But wooden fencing needs to be cleaned regularly and restained every couple of years. If you’re renovating your backyard to turn it into the perfect outdoor living space, restain your fence to match the new style. Whether you’re starting from scratch or you’re adding a few updates to your backyard, contact us here for fencing materials and services. What Kind of Fencing Is Right for Rental Properties? Wood fences are a traditional default. If your market is middle-income housing, then almost yard in the neighborhood is going to have a wooden fence. It’s the standard selection for most new constructions. Homeowners tend to prefer it because is a good mix of privacy and affordability. When you’re choosing what to replace in a rental property versus what to improve, you’re probably starting out with a wooden fence that needs a bit of repair. So hire a company that can save the good parts of the fence, replace the rest, and be available for occasional maintenance like staining and reinforcing. Wrought iron fences are a good choice for upscale properties. As homes get more expensive, their yards tend to have more expensive wooden fencing or wrought iron fences. Just like with any other market type, look at what’s typical in the neighborhood and what the house already has. If you can afford it and the market is right for it, wrought iron fences with decorative detailing can make the demand for the property shoot up. Just make sure you allocate part of the budget for rust restoration, especially in wet areas. Stay away from chain link fences or no fencing at all. No matter what neighborhood your rental properties are in, some fencing types can lower the curb appeal. This is especially true for chain link fencing. Even if it’s common in the area, look for a suitable wood paneling that’s in the property’s budget. If you have no fence it all, that can cut families and tenants with outdoor pets out of your target market. Go to Philip’s Fences to find the right, long-lasting materials for your property. Philips Fences is family owned and operated and has been building quality fences for over 25 years. 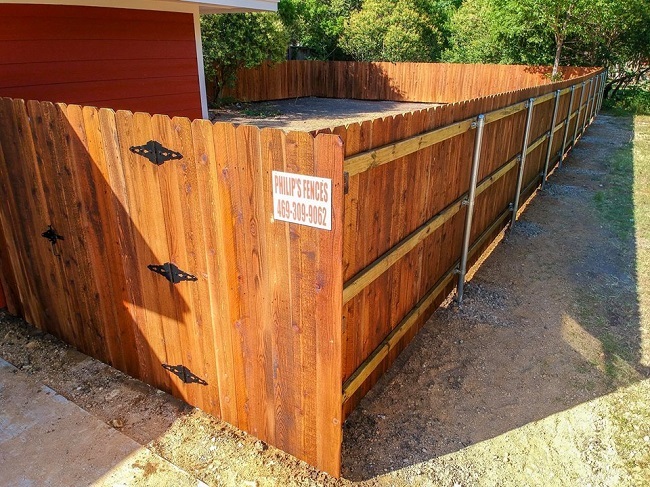 If you’re searching for a fence contractor in Ellis County, TX or the surrounding area contact the highly skilled team at Philip’s Fences for an estimate!